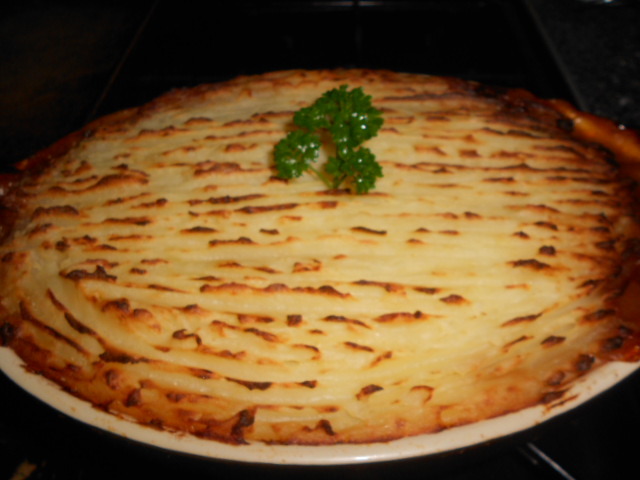 Everyone has a favourite recipe for Shepherds or Cottage Pie; do you use lamb or beef? Do you add cheese? What veg do you add in. 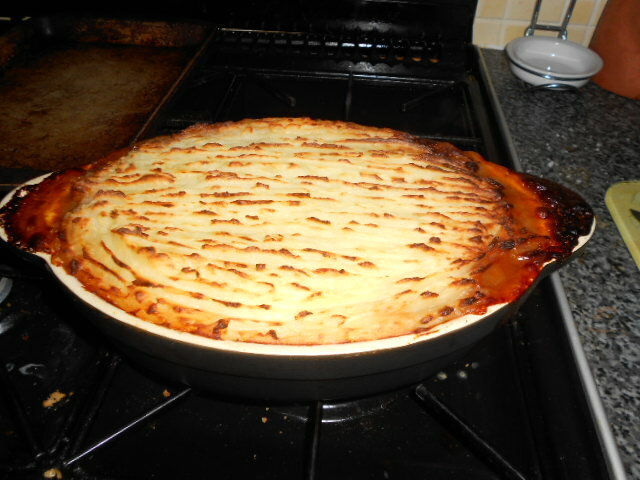 My recipe uses beef and is quick and easy to fit into a busy family life. 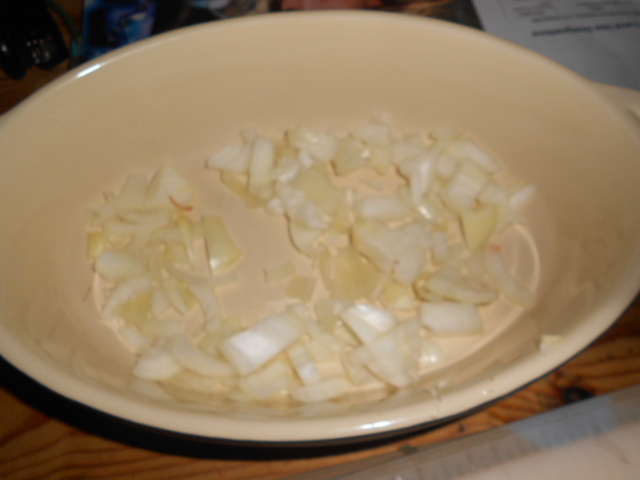 I make straight in the serving dish, to save time and washing so while the potatoes are boiling to make the mash, I chop my onions and put them in the microwave to soften (you can add a dash of water or oil but I do for a very short burst with nothing). 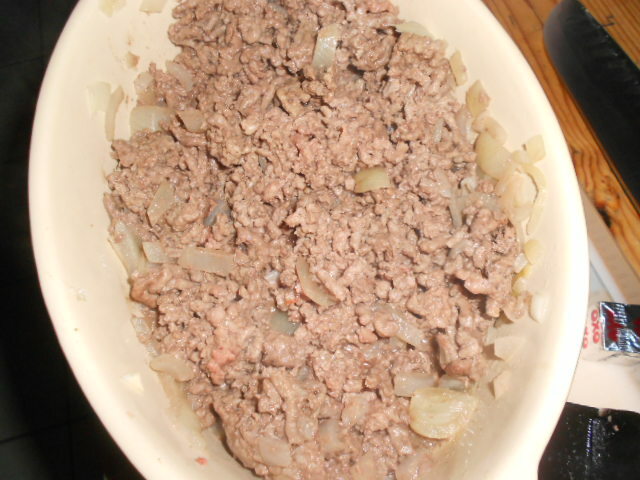 Then I add the meat and microwave in short bursts turning regularly. I want them brown all over, which could easily be done in a pan before transferring. At this point depending on the meat you may wish to throw some of the additional liquid, keep some to keep moist but if the meat has lost a lot of water or fat get rid of now. 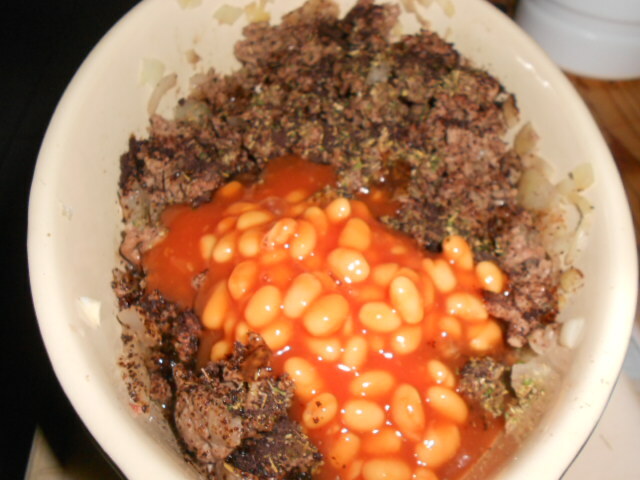 Sprinkle over the Mixed herbs and Oxo cubes (I use two to give depth) then cover with baked beans. 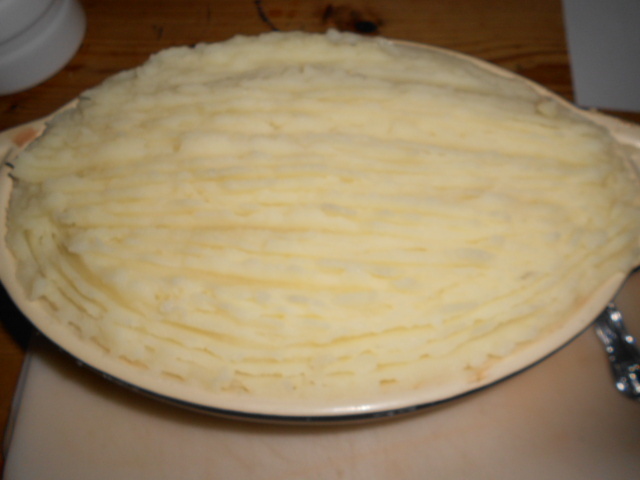 Cover with the mashed potato and leave till you are ready to cook then in the hot oven till the mixture is bubbling round the edges and the potato is nicely browned. Serve with other vegetable if you like or a crunchy salad. We love pickles and chutneys and these go really well with this. Great prepare in advance one pot meal for the whole family. Enjoy and let me know what variations you serve for your hungry mouths.